Couple Hannah Grazhel Chiong and Ronnie Sta. Teresa had their A Walk to Remember moment when the latter unofficially named a star "Grazhel," after the former's second name. The gesture was done as a birthday gift to Grazhel, who celebrated her birthday on September 28, according to her Facebook page. Grazhel reveals that having a star named after her was one of the items on her bucket list. The story made its rounds on the Internet as many netizens found the act, posted on Grazhel’s Twitter account, @Iamhannahchiong, to be very sweet. The tweet had a photo of Ronnie holding a framed certificate from the International Star Directory. The certificate has the star's coordinates, with the words, "named to Grazhel since June 3, 2017." Hannah captioned the tweet: "Best gift ever from this guy! You're the best! I love you!" In the romance book and movie A Walk to Remember, Landon Carter (played by Shane West in the film) named a star after Jamie Sullivan (Mandy Moore) through a fictional organization called International Star Directory. 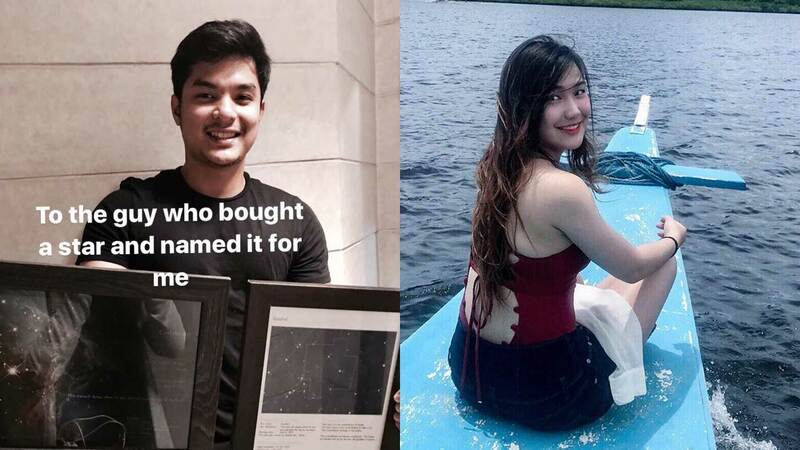 After the post went viral, a lot of netizens found the move romantic, while some got curious about—and some naysayers were quick to question—the validity of the gift (what a way to ruin a sweet moment!). But to satisfy everyone's curiosity about that, the answer is no, it's not valid. The International Astronomical Union (IAU), an international body tasked to handle such matters as naming stars, states on their website that "Some commercial enterprises purport to offer such services for a fee. However, such 'names' have no formal or official validity whatsoever. Similar rules on 'buying' names apply to star clusters and galaxies as well." Grazhel was well-aware of this fact, as stated on her Facebook post. She wrote, "Unofficial naman talaga siya sa mundong ito; hindi ko naman dineny yon. Pero sa mundo (metaphor 'tong mundo na 'to guys, ha. Ininform ko na kayo agad. Haha) na kung saan kaming dalawa lang ang nilalang ay doon nag-eexist ang munting star na si GRAZHEL"
What do you think about Ronnie's gift to Hannah?